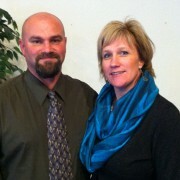 Pastor Paul Parker and his wife, Kelly, started as our pastors in March 2013. 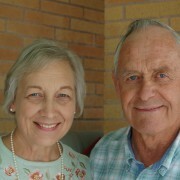 Tom and Clara Burton moved to Pendleton in September 1965 to help a small church. 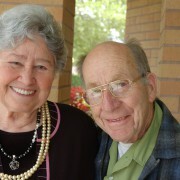 They are mainstays of our congregation and a joy to be around. Bob has been a Deacon for many years. Bob also teaches an Adult Sunday School class. 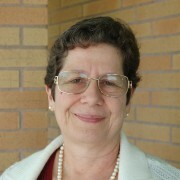 Myrna is Co-Treasurer and a Sunday School teacher. 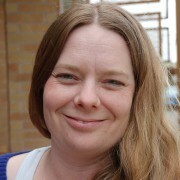 Christina is our Secretary and she also teaches Sunday School. 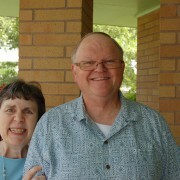 Technically Faye Prindle is not a staff member at PBC but we do support her missionary work. 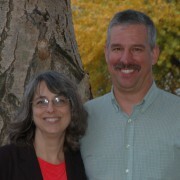 Faye is teaching at Rio Grande Bible Institute through AVANT Ministries. Brett plays guitar on the Worship Team. Charlyn is The Grand Keeper of the Checkbook. Although keeping a balanced checkbook is not often considered a Blessed God given gift, it is a necessary one. The Muellers have an unfortunate issue called “Inability to Leave” which means they are often the last ones to leave any event. We try not to draw attention to this as it benefits us to have people who know how to lock the doors and turn off the lights.